Home Blog CHEER ON THE BLUES! There are four things every footy fan considers when deciding where to watch State of Origin. Birrong Sports and The Acres Club in Greenacre already have the beer, food and view sorted for Game 1 on Wednesday, 31 May. But there’ll be something extra special about watching Origin at these venues this year. VB has approached us about hosting an exclusive Blues promotion at Birrong Sports Club and The Acres Club for the 2017 series. 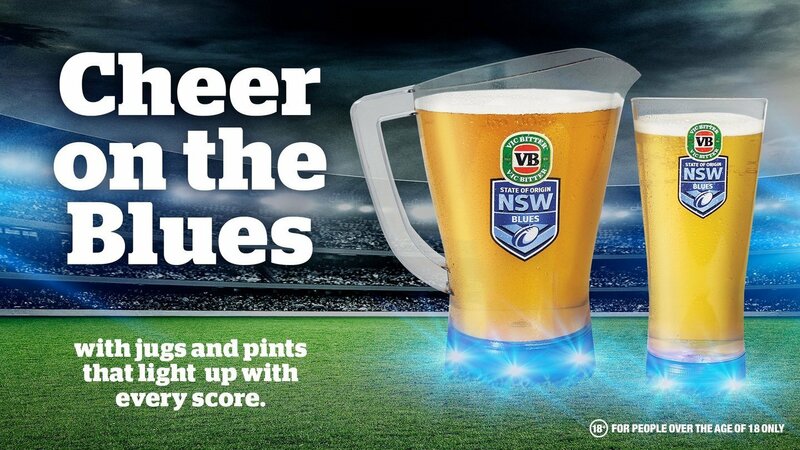 We’re giving you the opportunity to not only watch the game LIVE, but to ‘get into the game’ with jugs and pints of VB that light up every time the Blues score. Imagine the cheering, the shouting, the screaming, and the sea of blue flashing lights every time NSW crosses for a try! It’s the first time anything like this has been done and we’re two of only a few clubs in the country to be included in the event. Get your mates together and head to Birrong Sports or The Acres Club for Origin 1, 2 and the decider!